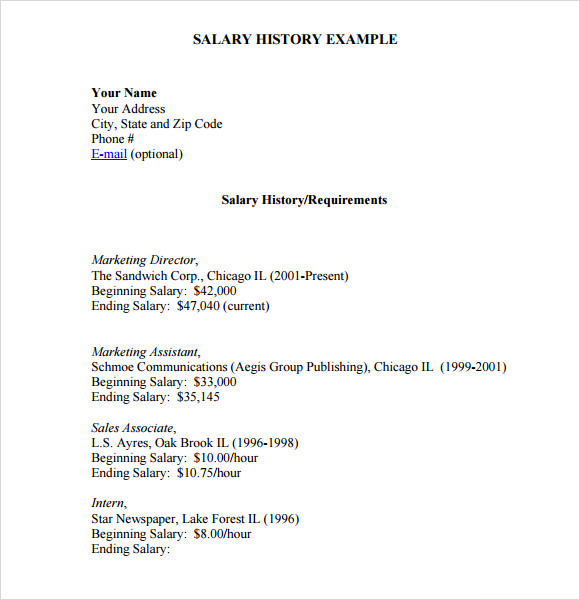 A salary history template is a form of templates used by the applicants for job application, it can be one of the requirements needed to pass by the Employee Timesheet and by most employer of the different companies or organizations. 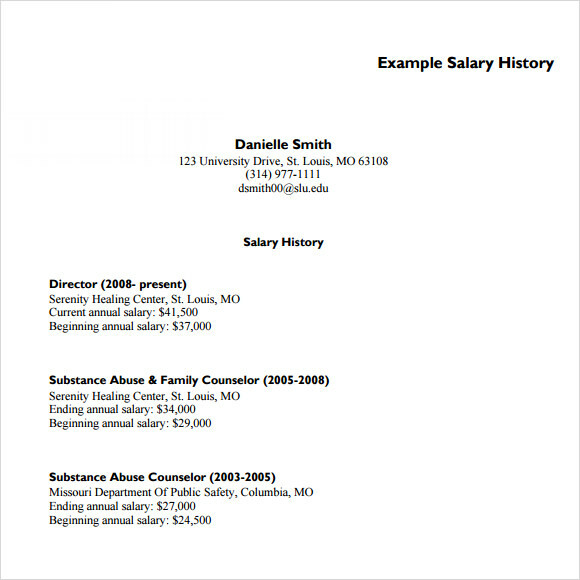 A salary history template is used to present detailed history of one’s earnings. 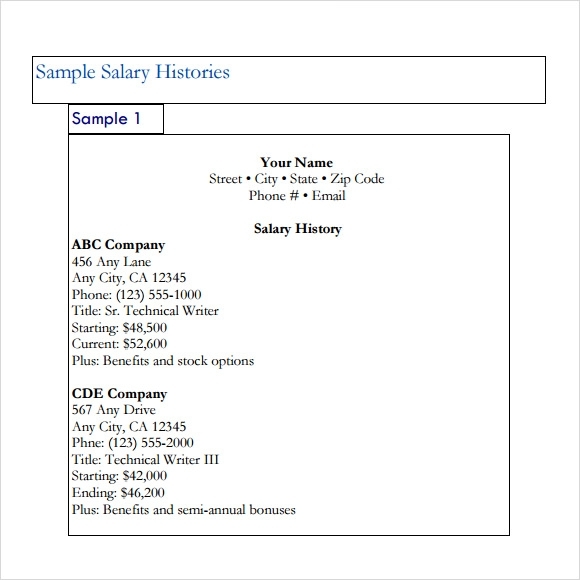 This template will show starting the year you have worked until present the salary which you have received from your employer. 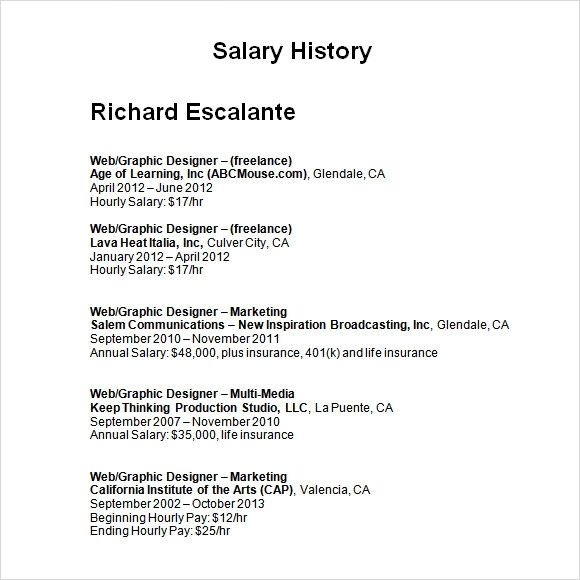 The purpose of creating a salary history template is for you to have a quicker and easier access of your personal earnings. This will also serve as an important document that you can use for future reference. 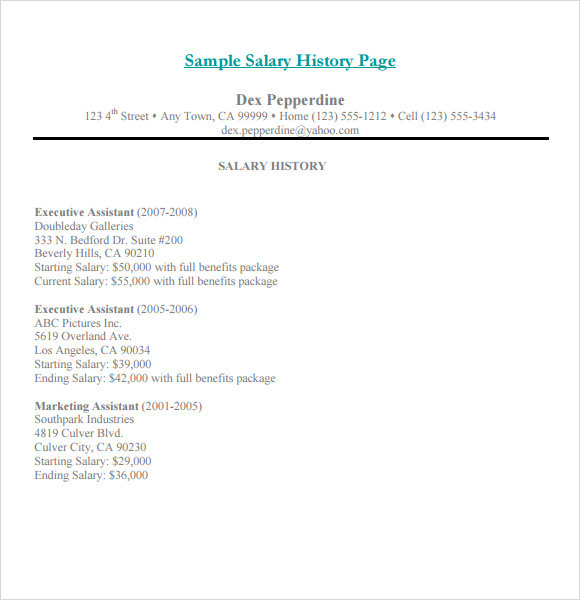 A salary history template is readily available in the website wherein the user can download it free with fast, cost saving and convenient approach. 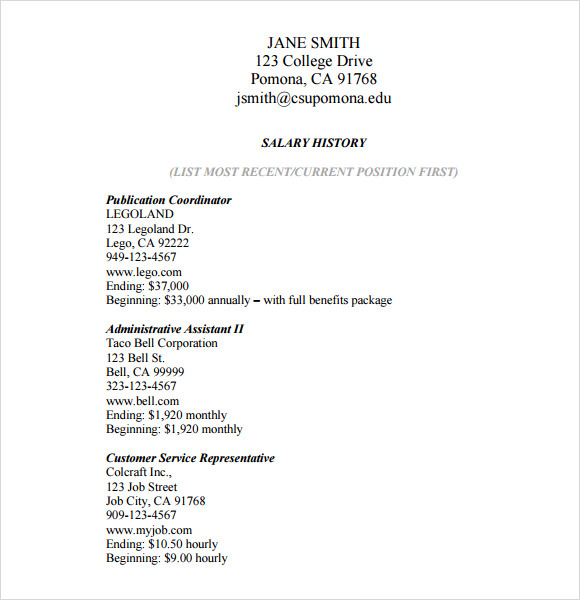 Utilizing this salary history template can help you to manage your salary earnings and track anytime the lists of your salary history from previous years.